No.40 Porta-Screen Tray - Gilson Co.
No. 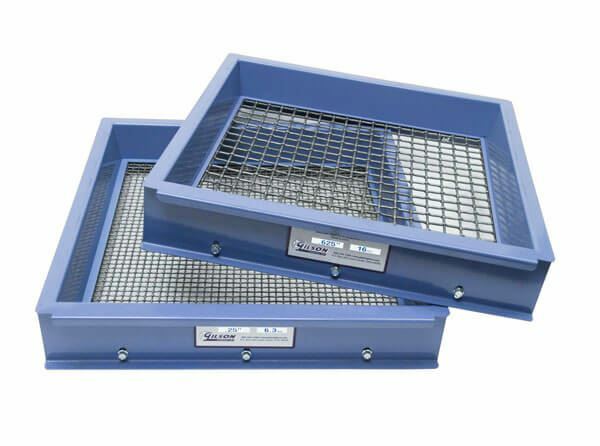 40 (425µm) full Porta-Screen Trays feature welded and bolted heavy gauge painted steel construction and are fitted with ASTM E11 Compliance Grade stainless steel wire cloth. 8" Sieve, Brass/Stainless, Full Height, 1/2"
8" Sieve, Brass/Stainless, Full Height, 1"